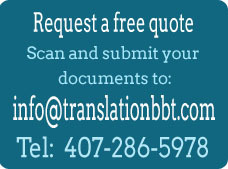 Here at BBT Translation Services we translate from Spanish into English any document for any purpose. Affordable prices, and fast and professional service. We are located in the USA and are members of the ATA. Guaranteed acceptance by the USCIS. If you get confused and don't know from where to begin, we are here to assist you with your translation needs! We translate from Spanish many official documents, we certify them for any purpose (immigration, education, employment and more). 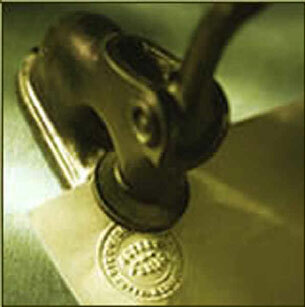 We translate contracts from Spanish, any other legal document. Our native translators are waiting to provide you their translating services. 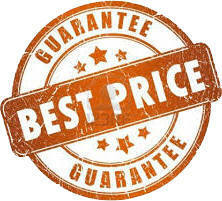 So please e-mail us or call us to obtain a free quote! We translate from Spanish into English financial documents such as bank statements, financial statements, paychecks, paystubs, proof of income and any other financial document. We provide conversion of currency. We translate also personal documents, letters, diplomas, transcripts, grades and more. 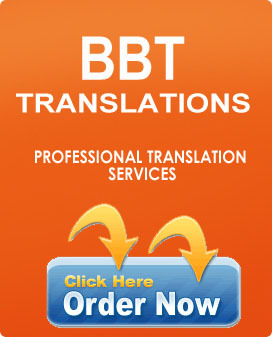 BBT Translation Services prides in translating Spanish documents into English in a professional and accurate manner. Our certified translations for the USCIS is done word for word and the translation is a mirror image of your document. Having extensive experience in dealing with these and other US government agencies we follow the standards for a certified translation in the USA. We, at BBT Translation Services provide high quality professional English Spanish translation, while observing the standards, design, time schedule, and by providing attentive customer service. While choosing us you get the professional translation service you are looking for.